All Boulder homes currently listed for sale in Boulder as of 04/23/2019 are shown below. You can change the search criteria at any time by pressing the 'Change Search' button below. If you have any questions or you would like more information about any Boulder homes for sale or other Boulder real estate, please contact us and one of our knowledgeable Boulder REALTORS® would be pleased to assist you. 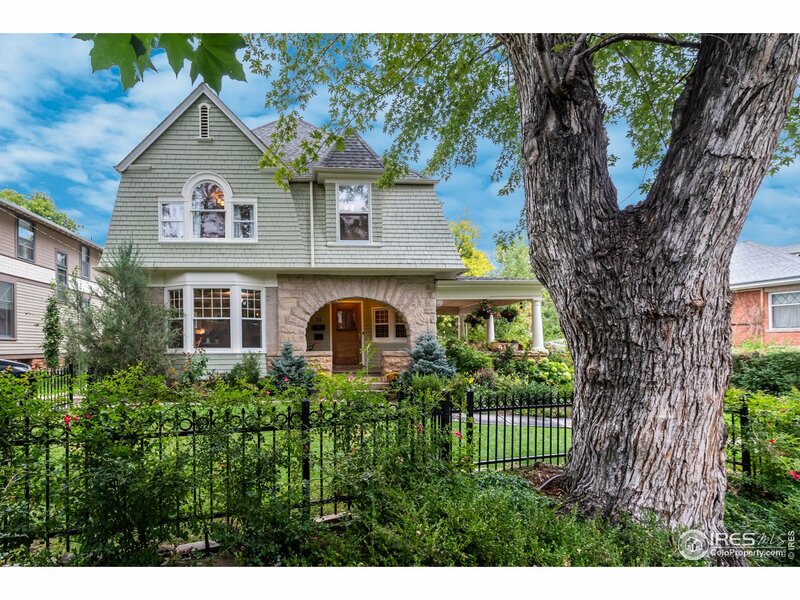 "Quite simply one of the finest homes on the Front Range. 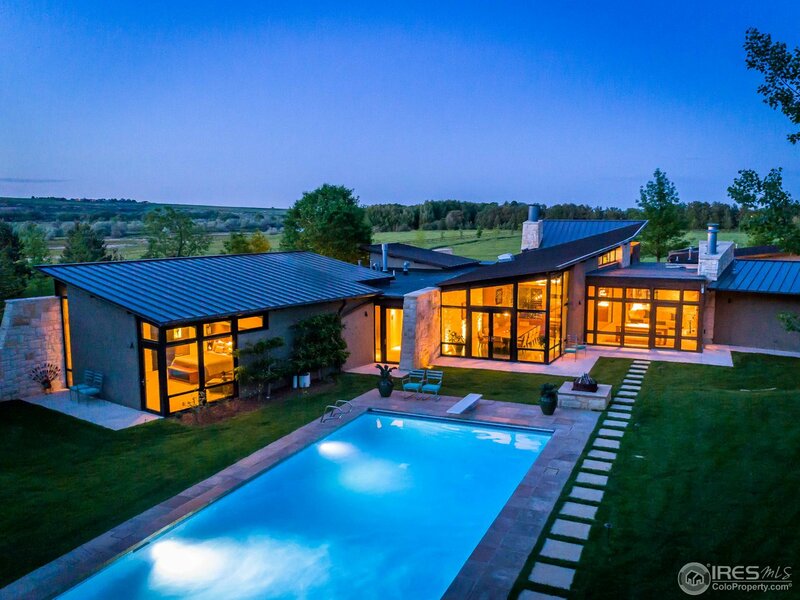 Set on 15 acres of pastoral land enveloped by 1000+ acres of Open Space, a 1/4 mile tree-lined drive leads to this stunning modern rural home. Nestled in the trees for tranquil seclusion, each wing flows seamlessly between indoors & out. Solid sandstone & walls of glass frame the unique view of 100' tall white rock cliffs, carved by Boulder Creek, in the distance. 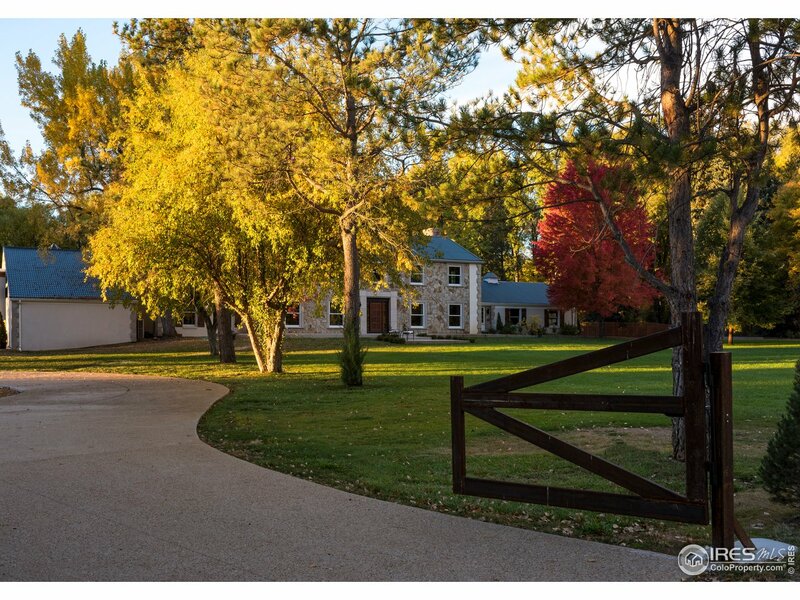 Unparalleled design & quality of construction just 10 min to central Boulder"
"Country Equestrian Estate IN BOULDER! Quiet, secluded location w/panoramic views of Flatirons and Foothills; 12.6 acres w/mature trees, peaceful paradise surrounded by dedicated farmland. Contemporary, spacious 2 story built for entertaining, gourmet chef's kitchen, wraparound porch, heated pool & spa, separate studio/guesthouse, 8+ stall Gardner barn w/ 6 loafing stalls, hay storage, tack rm, outdoor arena, 2 fenced pastures, water rights, well + lefthand. Truly, just 10 minutes to downtown!" 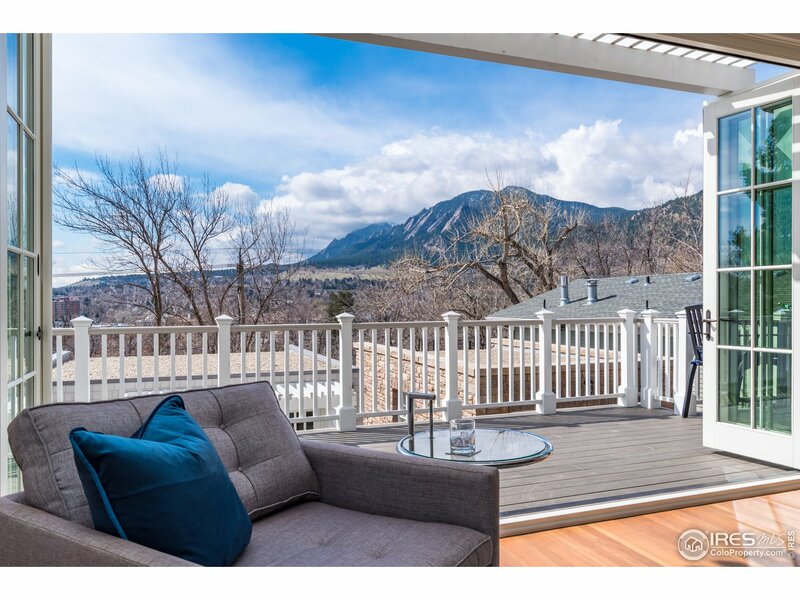 "Stunning Chautauqua home nestled against Flatirons w/ luminous windows that capture incredible mountain and city VIEWS on exceptional 1+ acres. Artistic upgrades include: marble flooring on entry, mother-of-pearl tiling in fish tank & kitchen back splash, & high end appliances. Inspired architectural details throughout. All bedrooms have en-suite baths. Fully-equipped separate guest suite, contemporary stone and stucco exterior blend with natural landscaping, and an incredible roof top deck." 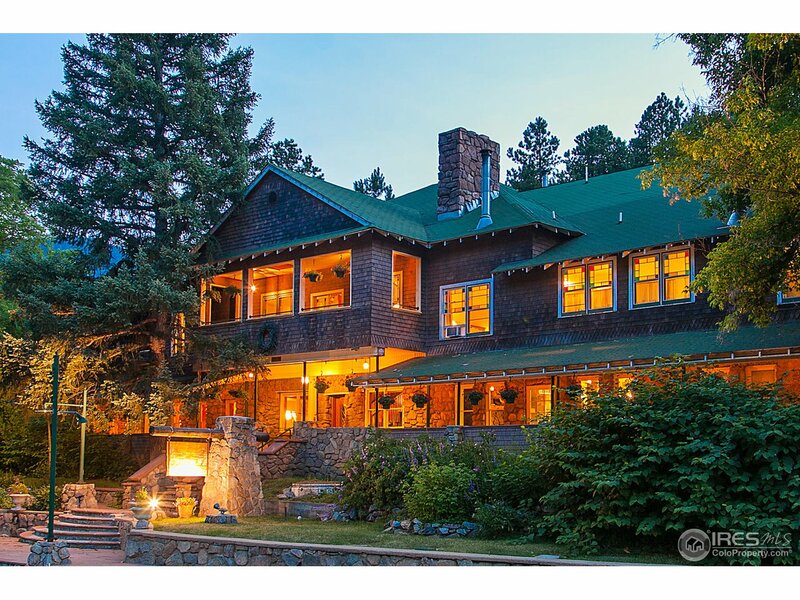 "Once in a lifetime opportunity to own a sprawling secluded estate in downtown Boulder! This spectacular 1.2 acre sanctuary has over 200ft of Boulder Creek frontage within steps of world class restaurants,shopping,cultural venues & trails. Fully restored in 2018 w/ the finest craftsmanship & finishes available,this 6bed/7bath estate boasts: chef's kitchen w/ AGA range, 100 yr old reclaimed flooring,walls of windows, stunning master retreat, guest house w/ full kitchen, plus so much more!" 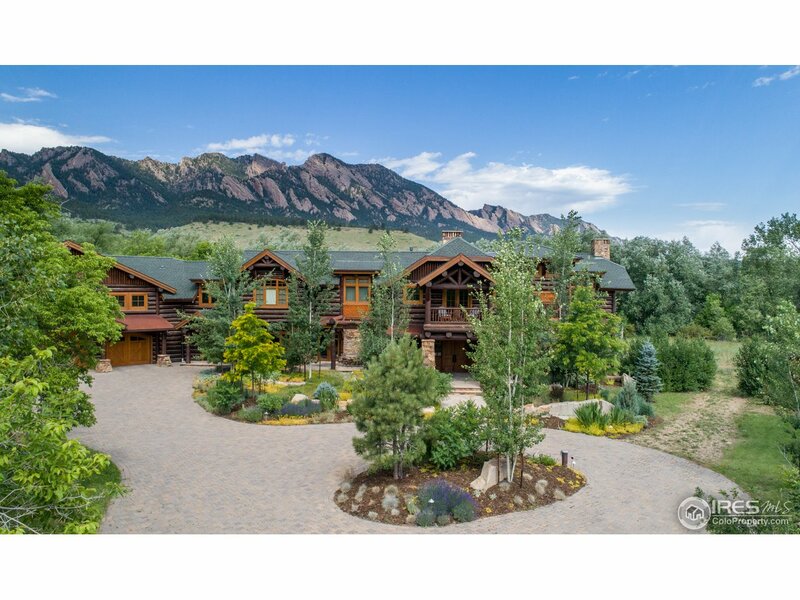 "Privacy, stunning views of Flatirons, 5.78 acres, S. Boulder Creek, Horse property. Custom, Western style, 7,370 sq ft, luxury log home 4 bedrooms, 6 baths. Handcrafted by master artisans, reminiscent of national park lodge. Chef's kitchen, multiple entertaining areas, grand master suite, main floor guest quarters, luxury indoor-outdoor living:spa, fireplace, BBQ, Creek side patio with fire pit. Leave the horse trailer at home. Minutes to horse,hiking,biking trails. 10 min to center of Boulder." 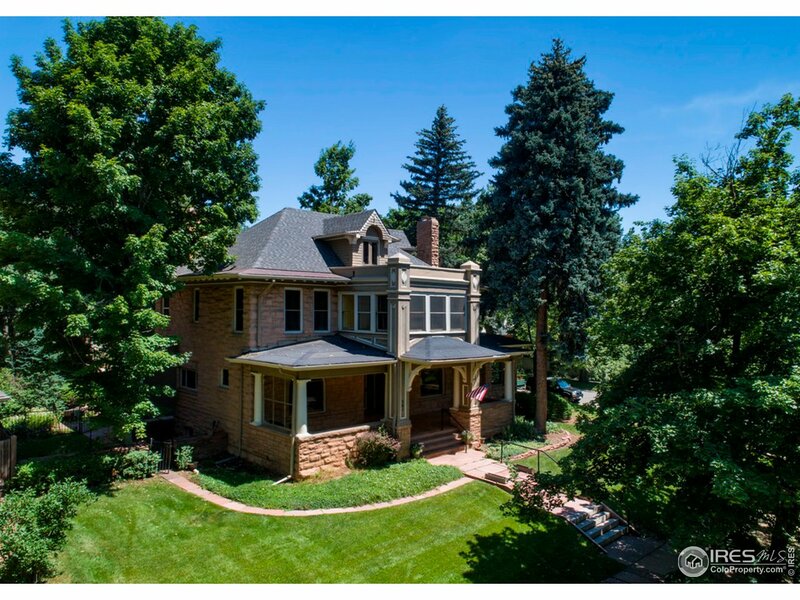 "Iconic Mapleton Hill Estate perched on one of the most spectacular VIEW lots in downtown Boulder! Rarely do homes with this unique combination become available: PRIME downtown location, huge 14,000 sq.ft. south facing lot, unobstructed VIEWS, & move-in ready! This studs up renovation spares no detail desired for modern living, yet retains the historic character & charm of days gone by. 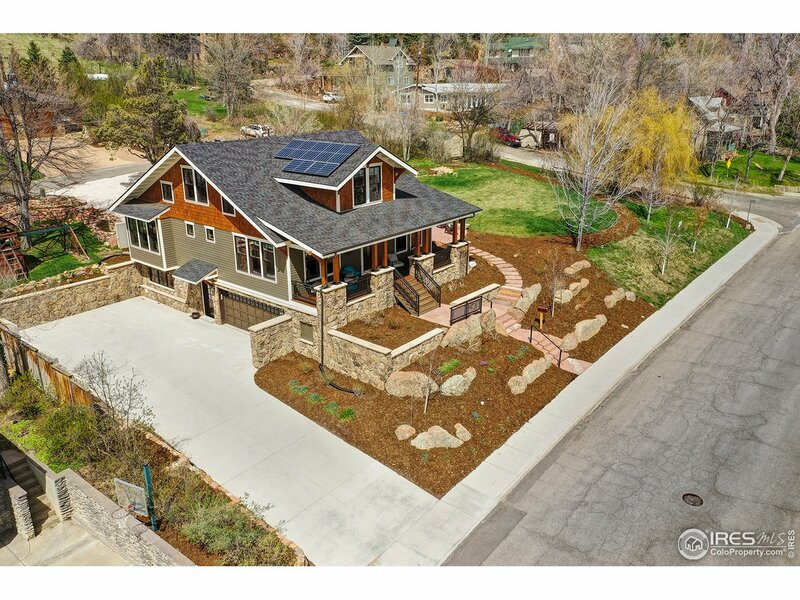 Don't miss this chance to make your dreams a reality in Boulder's most prestigious & sought after neighborhood!" 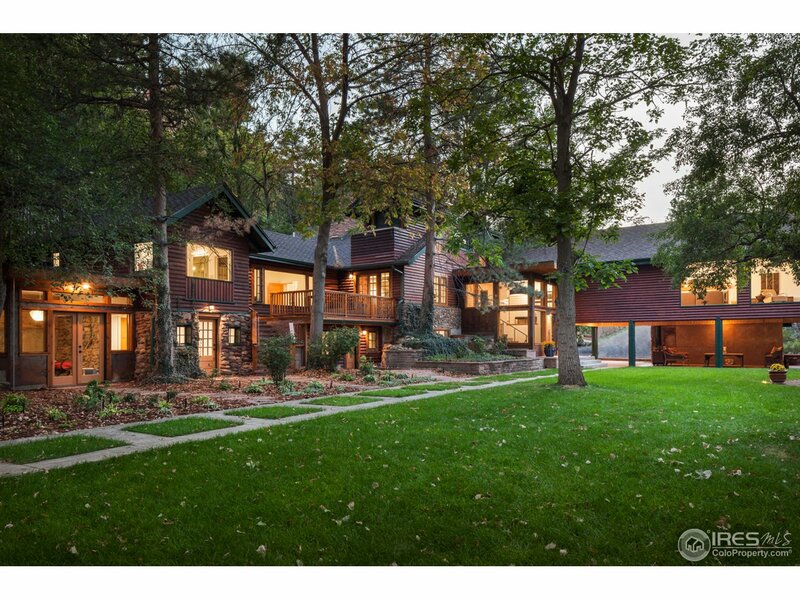 "Truly one of the most spectacular lots in Boulder, this secluded 8,500 sq. ft. home is tucked privately among towering oak & spruce trees on a sprawling 1.3 acre lot. Designed to maximize natural light, flow & connection between the expansive spaces, you'll find luxury features around every corner in this architecturally compelling home. With multiple courtyards & outdoor entertaining areas, the home's footprint was designed to maximize access to the lush & whimsical gardens & park-like yard." "Waterstone Ridge, carefully built, preserving the natural red-rock outcroppings while securing the amazing views. Seeking unparalleled quality and design with a focus on nature, this inspiring property achieved its goal. Delight in the infinite fine finishes, groundbreaking use of micro relief textures, metals, patterns, beautifully balancing nature, art, sculpture and function. Take in the soothing sound of the atrium waterfall & the indoor gardens,it's just another exquisite element to enjoy." "Presenting a rare Boulder keystone property - an iconic house on an acre plus lot on the Norwood Hill with 5 bedrooms 7 baths. Enjoy the best sun filled view of Boulder from a large chef's kitchen that flows to an entertainers dining and living room with a showcase fireplace. Relax in the upper level master suite with see through fireplace, large skylights, and en suite master bath. Features: home theater, in-law suite, sauna, wine cellar, 4 car garage, Japanese gardens, greenhouse. TRULY EPIC!" 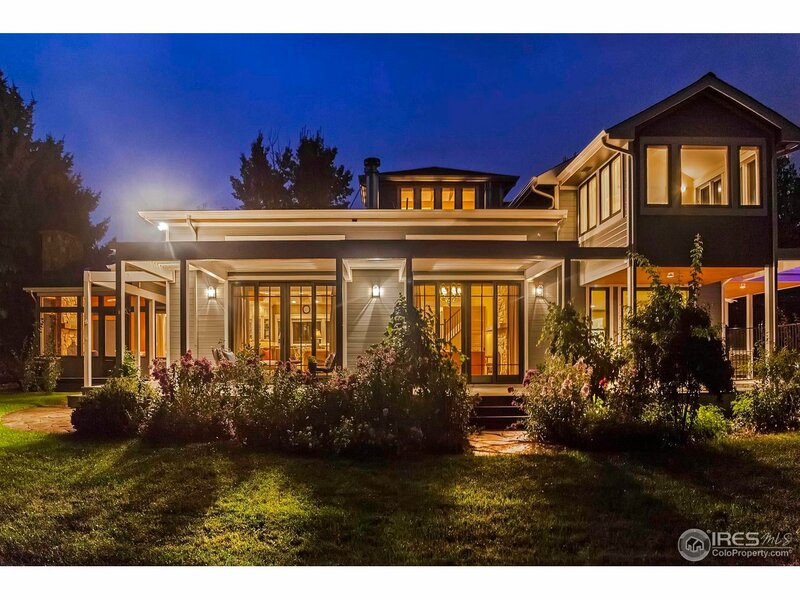 "Custom built modern masterpiece on prominent corner at the West end of coveted Juniper Avenue. Inspirational architecture by Sopher/Sparn features tastefully curated open living spaces and high-end finishes throughout sure to impress the most discerning buyer. Just steps from Mt. Sanitas open space trails the design honors and celebrates the relationship between indoor and outdoor spaces. Over 5,000 SqFt offering a gourmet kitchen, luxurious master retreat & 4 bedrooms upstairs. Net zero home." "Iconic Mapleton Hill estate offered for sale for the first time in 65 years.An authentic and original Boulder treasure with unparalleled historic elegance. This rare 3-story home is situated on a 16,000 SF lot and has a 2 car, detached garage. Historical features include cut sandstone, cared wood, Romanesque arched windows, exposed fluted rafter ends, original woodwork and fixtures throughout and a grand front porch. 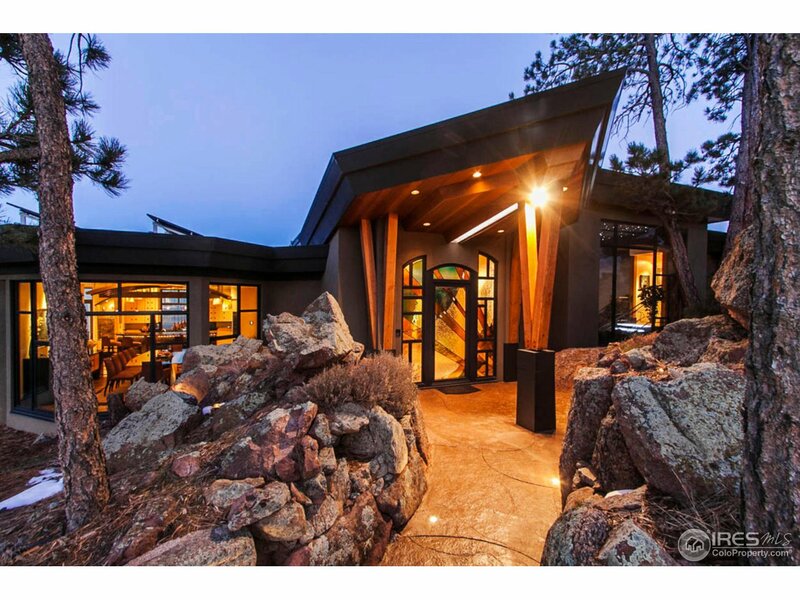 A unique and rare opportunity to own one of Boulder most exquisite properties." "Perfectly set at the end of a quiet tree lined street, surrounded by open space with a mtn. view backdrop, Woodbourne Hollow offers the quintessential Boulder lifestyle. Enjoy unparalleled privacy with the convenience of living minutes to all that Boulder offers. The spectacular home & guest house have been tastefully remodeled with an uncompromising commitment to finish & detail. The lush 5-acre level lot is embraced by mature trees & bordered by a meandering stretch of Four Mile Canyon Creek." "Buckingham Mansion originally built 1902. A 3-Story Mapleton Hill Estate that shines the light on blending historic master craftsmanship details with clean lines and elegant and luxurious finishes. Passionately remodeled in 2014, elevating & creating one of the most beautiful homes in downtown Boulder's historic district. Commanding visual attention, window filled corner tower, Palladian dormer windows, spacious wraparound porch on a triple corner lot w/ mature trees, gracious & inviting." "The Alps Inn is a historically significant residence, hidden in the yawning canyons and situated right on Boulder Creek, ideally just 2.5 scenic miles from the heart of downtown Boulder. Use as your own private residence or continue as an Inn. On 21.3 acres in the most spectacular Colorado mountain setting with over 14,000 square feet of grand living spaces and 12 distinctive transient licensed rooms, plus a spacious 2 bedroom upstairs owners unit. On the market for the first time in 25 years." "Designed by a prominent NJ architect,this breathtaking home stands out as a combo of modern artistry & workmanship.The 5.28 acres is adjacent to open space w/ magnificent views of the Front Range and access to hiking and horseback riding trl.This home has 2 water features,swimming pool& cabana w/kitchenette.This 6 bedrm,7.5 bath home has a main fl.mster suite,floor to ceiling windows throughout the home,a chef's kitchen,a sep.nanny apt & a 2600sf barn with office.This is a family's dream house"
"The Boulder dream is a reality in this luxury new build on a huge lot in the exclusive Newlands area, just blocks from Mt Sanitas and Pearl Street with jaw-dropping Flatirons views. A timeless, anything-but-trendy design shines with exquisite woodwork, quarter-sawn oak floors and a luxe chef's kitchen, featuring exposed brick and premium appliances. Every comfort is accounted for, from the main-floor master suite and dual mudrooms to the radiant heating, advanced lighting system and wine cellar." 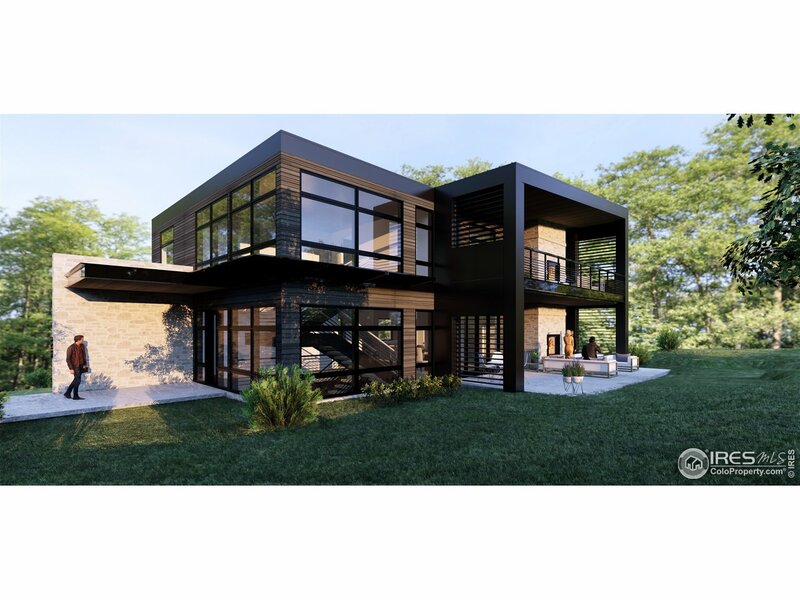 "This stunning contemporary masterpiece is quintessential Boulder, outperforming in every facet. Perched on an acre, endless wow views synergistically converge with exceptional Craftsmanship, Architecture & Design. An avatar of Efficiency, Sustainability & Automation. 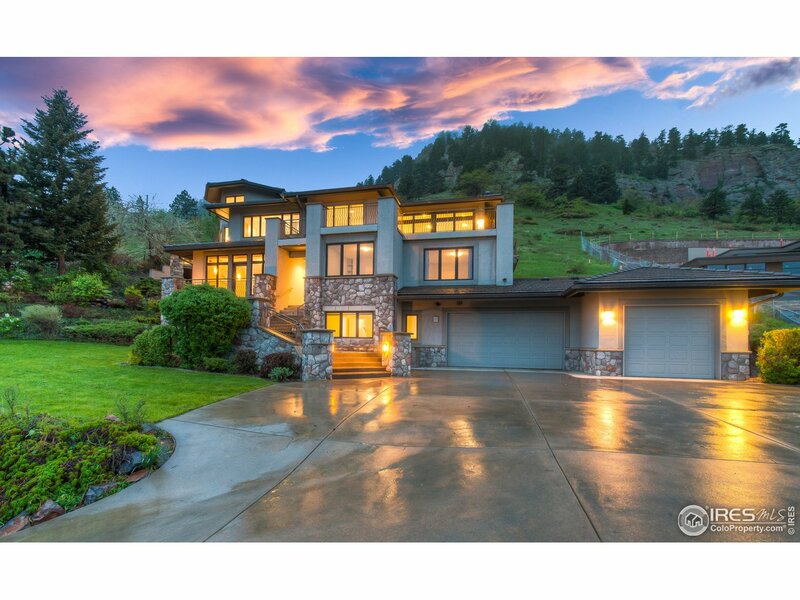 Shimmering lake, verdant Foothills & graceful Flatirons embrace you at every turn in this High IQ, NetZero home. Symbiotic outdoors-in floor plan engaging every square foot. Retreat to your private sauna or soak in the views." "Three properties combine to create this eco-conscious oasis in the heart of the city! Once in a lifetime opportunity to purchase this thoughtfully developed compound which includes 1425 Cedar Ave, 1435 Cedar Ave & 2925 15th St. Perfectly situated, this unique offering includes a primary house, detached studio, guest house, greenhouse and meticulously manicured grounds creating a living environment second to none. Sure to impress the most discerning buyer. Additional development entitlements." 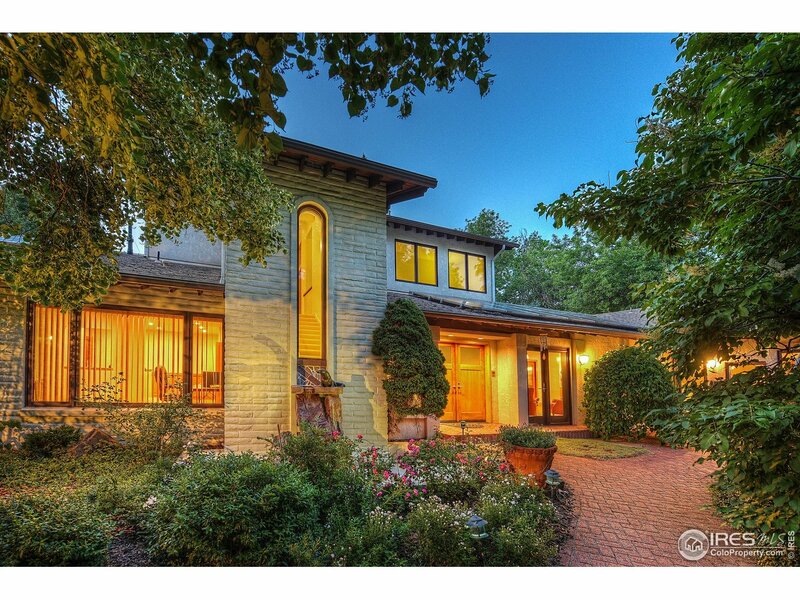 "Views from every level in this stunning home on one of the best blocks in Boulder! Large front porch, gorgeous fir wood floors, formal library/office, high end kitchen & sun filled formal dining & family room. 4 beds on 2nd level. 3rd floor study/office or(6th)bedroom w/magnificent flatiron & downtown views. Lower level is designed w/gorgeous brick work, theater, gym, kitchen, bedroom/bath-perfect for guests! Large private yard w/outdoor kitchen- walk 3 blocks to Pearl St, on enclave street!" 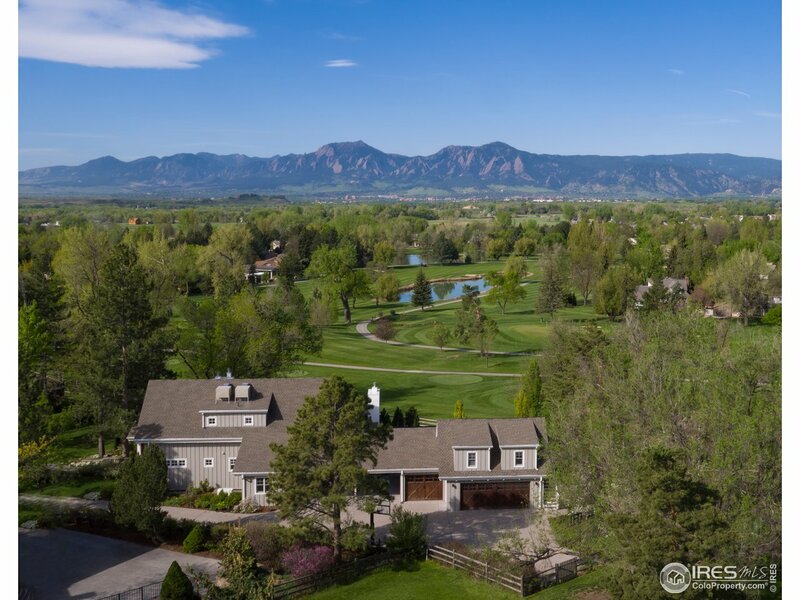 "Incredible opportunity in Boulder's most coveted enclave featuring breathtaking views of the famed Flatirons and beyond. Perched high above the city, enjoy the privacy and serenity of a quiet tree lined street while being just a few blocks to world class dining, shopping and recreation. Home has been exquisitely renovated, boasting an open floor plan, gourmet kitchen and luxurious master retreat. Oversized lot offers generous patios, mature landscaping & a custom pool/spa." 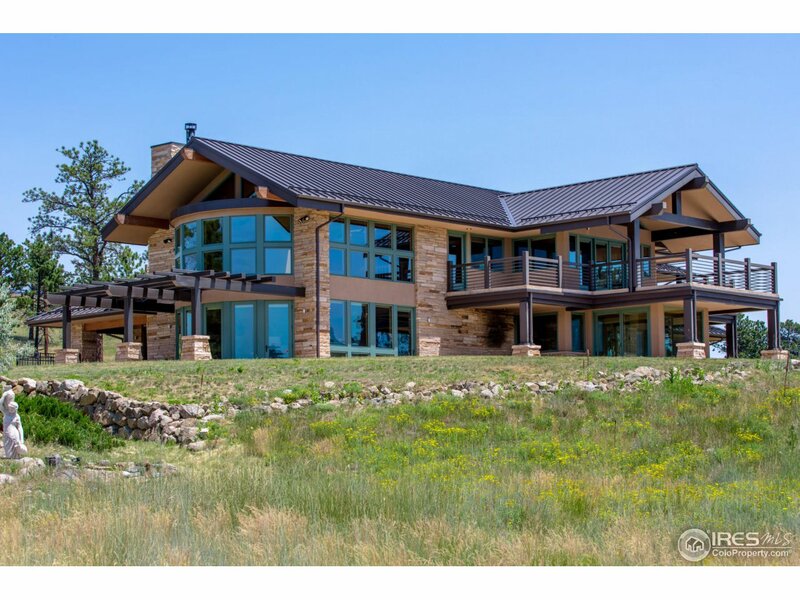 "Spectacular views, 32-acre parcel of gentle rolling green grasses, an exceptional home in our Boulder Foothills. The Indian Peaks and Bald Mountain bookcase the property, just 4.7 miles up Sunshine Canyon, worlds away but so close to town. Beautiful stone and stucco facade, hickory floors, open floor plan with floor-to-ceiling windows that bring the magic of the outdoors in. Energy efficient, in ground swimming pool, greenhouse, elevator are but a few extra features." 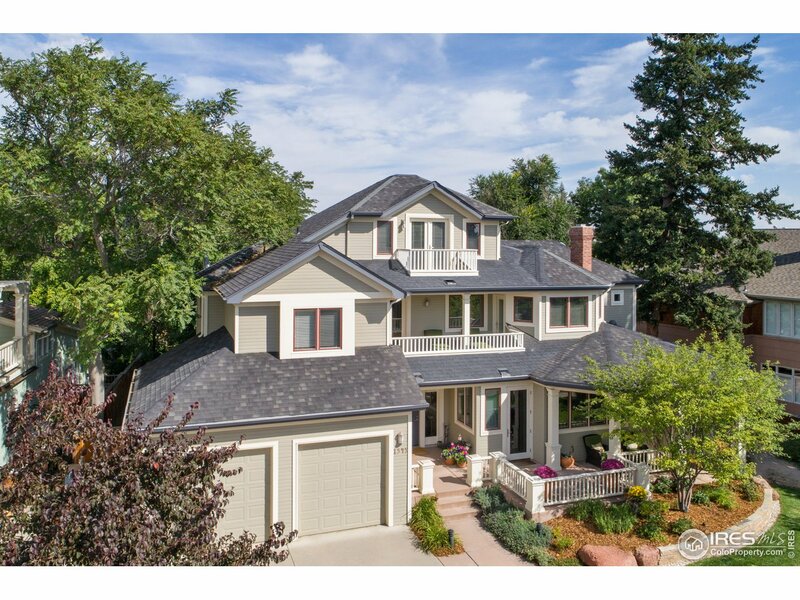 "Majestic VIEWS over Boulder in one of our most prestigious neighborhoods! Walk to Chautauqua, parks, school & dining. 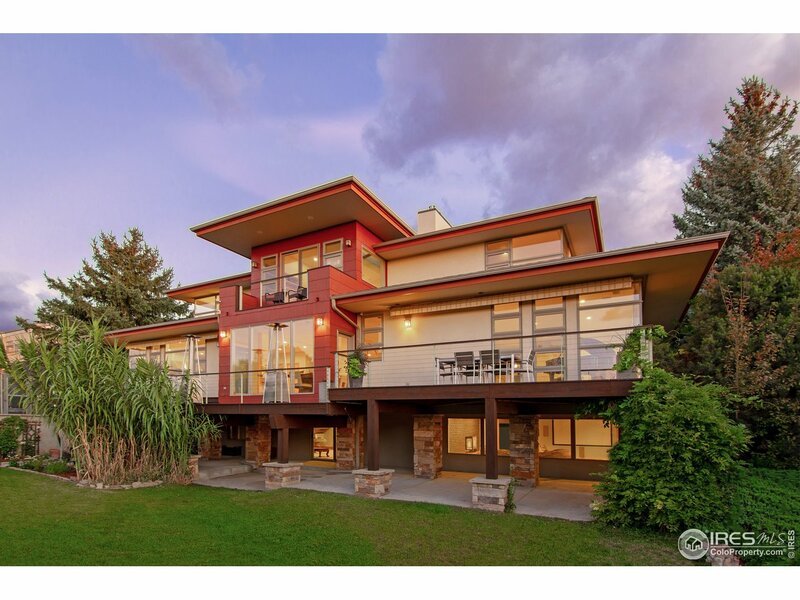 Modern home built w/the highest-end-finishes, gorgeous maple flooring. State of the art Balthaup kitchen w/stainless steel counters, Sub-Zero/Gaggenau appliances. Flooded w/natural light & a view from every window! Expansive deck for entertaining & enjoying amazing views. Each level walks out onto the beautifully manicured acre lot. Best of Boulder! Priced below appraised value." "Rare opportunity to own a one-of-a-kind property with the best views in Boulder.Stunning, warm, sun-filled home on totally private, gorgeous 0.67 acre lot surrounded on 3 sides by the Boulder Country Club golf course extending the unparalleled views & privacy.Immaculately crafted on every level with high-end chef's kitchen, custom cabinetry, slab marble counters, main floor master, 4 beds up, separate outside entrance to newly remodeled basement plus apt/office w/bath & kitchenette over garage." "Mapleton Hill Masterpiece. Rests proudly above blooming gardens and a seasonal irrigation canal. A stone archway frames the wraparound porch. Three stories with light filled rooms, magnificent staircases, an open updated kitchen, casual and formal dining. Daylight and fresh air stream through windows on three sides of the master suite. Picturesque and peaceful yard with shaded patios, gardens and lawn to play and relax. One of kind, 11,300 sq ft site with a charming carriage house."